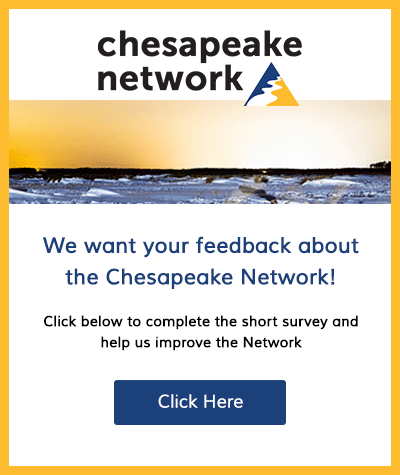 The Chesapeake Bay Foundation seeks a Federal Executive Director to be based at its Federal Affairs Office located in Washington, D.C. Established in 1967, the Chesapeake Bay Foundation (CBF) is the largest regional nonprofit conservation organization dedicated to saving the Chesapeake Bay, its rivers and streams, and the wildlife that call it home through education, advocacy, litigation, and restoration. 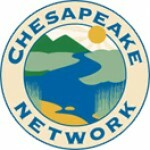 Since 2010, CBF has engaged in a focused effort to defend and implement the Chesapeake Clean Water Blueprint, a binding federal and state collaborative agreement aimed at reducing pollution to the science-based, legally-affirmed levels established by the U.S. Environmental Protection Agency (EPA). The Blueprint is expected to be fully implemented by 2025. If the states and the federal government achieve Blueprint goals, the Bay will finally—after decades of failed efforts—be removed from the Clean Water Act’s impaired waters list. Successfully implementing the Blueprint depends on a well-informed, engaged, active, and diverse constituency of members, advocates, and volunteers who speak up and take action to save the Bay. CBF has a staff of approximately 190 employees working in offices in Annapolis, Maryland; Richmond and Virginia Beach, Virginia; Harrisburg, Pennsylvania; and Washington, D.C. as well as 15 field education program locations. Our staff and volunteer corps work throughout the region educating students and adults, advocating for clean water policies, restoring waterways, and litigating when necessary. CBF’s headquarters office in Annapolis, Maryland is the Philip Merrill Environmental Center, the world’s first U.S. Green Build Council’s LEED platinum building. In 2014, CBF opened the Brock Environmental Center—one of the world’s most energy efficient, environmentally smart buildings—in Virginia Beach, Virginia. CBF has an annual budget of approximately $26 million and is supported by more than 275,000 members and e-subscribers. For more information on CBF, please visit cbf.org. The Federal Executive Director serves as the primary environmental advocate for CBF at the Federal Level and the DC Metro Area. The position serves as the lead coordinator, strategist and contact for CBF advocacy efforts aimed at the U.S. Congress and federal executive agencies. Key responsibilities include: policy development and advocacy, media/spokesperson and staff management. Additionally, the Federal Executive Director oversees all lobbying, outreach and advocacy efforts for CBF at the Federal Level and within the DC Metro Area with strong coordination with the State offices. The position assists with member and donor development, fundraising, education and communication efforts. The Federal Executive Director is an integral part of CBF’s Making History Campaign and works closely with the Making History Campaign Director, specifically on the 1 Million Voices Campaign. 1. Provide leadership and direction for the Federal office. a. Set goals and objectives, determine office priorities, determines policy agenda, and directs strategic planning efforts at the Federal level. b. Coordinate activities of CBF’s Federal office with other state offices, EPR headquarters and across all departments at CBF. c. Develop and oversee the Federal office budget and grant funds. 2. Lead CBF’s environmental policy and advocacy agenda at the federal level. a. Lobby and negotiate with high-ranking government officials, legislators, business and community leaders. b. In consultation with the Vice President, manage outside consulting lobbyists. c. Develop and maintain key contacts in Congress and the various federal agencies. d. Represent CBF on DC/Metro Area boards and commissions. e. Represent CBF to the media and to the general public. d. Write or present testimony, speeches, and editorials; oversees drafting of regulatory or legislative language. e. Initiate/negotiate partnerships with other organizations. f. Assist with fundraising and donor visits. b. Along with the Making History Campaign Director, responsible for the development and execution of the strategic plan for the 1 Million Voices Campaign. 4. Supervise multi-disciplinary professional, technical, and administrative staff in the Federal office. a. Assign and delegate work responsibilities. b. Establish intra-office supervisory relationships and team coordination. c. Review, evaluate, and edit work of staff. d. Evaluate performance of staff, including recommendations for internal growth and promotability. e. Recruit, interview, and hire staff. At least ten years of experience in management, budgeting, leadership, public policy, fundraising, public speaking, advocacy skills. Must be familiar with CBF or other similar organizations operations, systems, procedures and, Federal environmental laws and regulations. Familiarity with Congressional level government and local government required. Graduate-level degree in environmental policy, science, or law preferred. To apply, please send resume and cover letter through job posting on CBF website no later than April 26, 2019. CBF offers a comprehensive benefits package to include: 20 vacation days, 10 sick days, health, vision, dental, life insurance, and a tax deferred retirement plan. Please note this is a campaign-funded position that is expected to be funded for multiple years. However, as with any position that is dependent on campaign money, there is the risk of unexpected funding problems and the position can no longer be funded through the campaign. IF that should happen, CBF will review the position at that time to determine if it can then be funded from other sources of income within the organization. CBF encourages diverse candidates to apply and is committed to creating a diverse and inclusive environment. CBF is proud to be an equal opportunity employer and all qualified applicants will receive consideration for employment without regard to race, color, religion, gender, gender identity or expression, sexual orientation, national origin, genetics, disability, age, or veteran status.